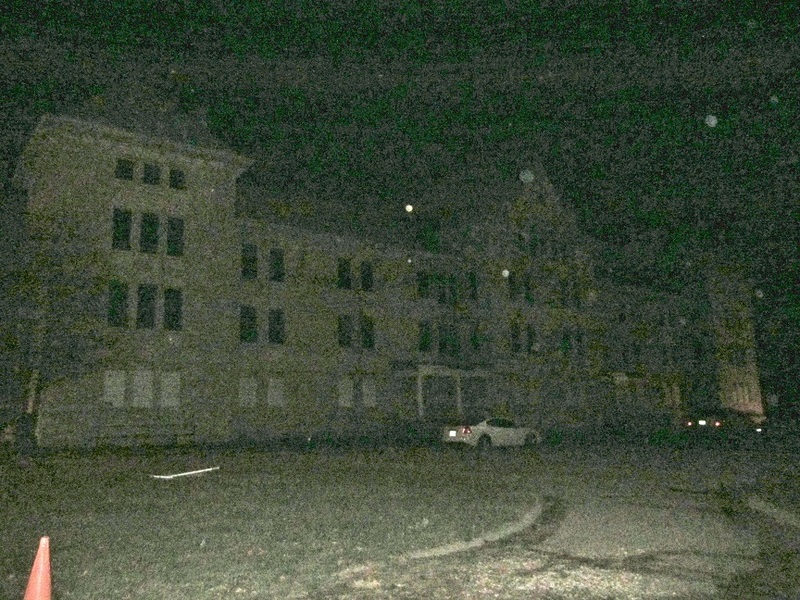 Vicki and I were a bit apprehensive about investigating the Bartonville Asylum, concerned we may experience a strong case of deja vu, or perhaps would not be allowed to leave at all if the building was indeed haunted by former employees. But we certainly could not pass up this unique opportunity to investigate such a massive location, especially with the help of the seven members of Iowa's Quad City Pro-GS team. The "Illinois Asylum for the Incurable Insane" was built at the beginning of the 20th century, officially opening on Feb 10th, 1902. By the end of that year, it housed more than 600 residents. Over the course of the next seventy years the history of this facility, not unlike many of this era, was a mixture of successes and sorrows, finally closing its doors in the winter of 1973. The 55,000 square foot Bowen Building was the main building on this estate with four floors and basement. It served as the main office for the administrative staff as well as the primary medical facility. With such a vast expanse to cover, we were fortunate that QC Pro-GS was so well equipped with IR cameras to blanket the facility. It was a rather brisk night as temperature dipped into the mid 40s. With the only heater located on the main floor, Vicki and I choose to remain more mobile, returning regularly to the warmth of command central. We seemed to get most of our activity early in the evening, which started around midnight. We decided to work our way to the upper floors while QC was setting up their cameras in the basement. In the main hallway on the second floor I kept hearing what sounded like someone walking behind us. After moving up to the attic, my favorite area, Vicki thought she heard a "Tchhhh" sound. When I then asked "Hello, is there anyone here"? Both Vicki and I thought we heard a female voice seemingly saying "Hello". We checked the other floors to find Vicki was the only female in the building at the time. Although we did capture the "Tchhh" Vicki heard, neither of our recorders captured the female voice. 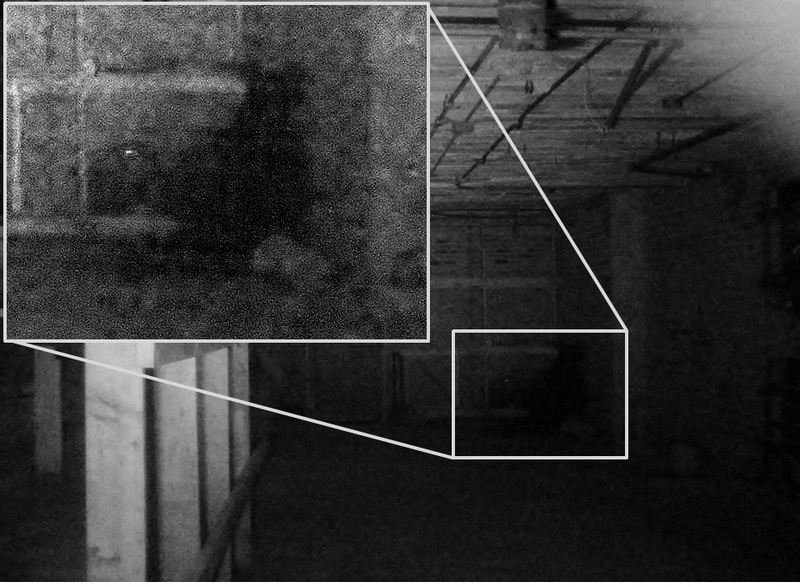 Later that evening when we were making our way down the basement stairs, Vicki's flash light began to go dim. We suspected it was the combination of the cold and dying batteries. Once we got to the end of the hallway however, it suddenly bounced back and didn't give her any troubles the rest of the evening. On a similar note, I went through at least 8 new AA batteries with my camera and that was with very limited use. Both Vicki and I experienced numerous camera problems, specifically with getting the flashes to work consistently. At one point in the evening Vicki and I were investigating the attic with Gavin of QC-GS. He suggested that we try a Spirit Box session. To his disappointment, his SB-7 would not function at that time. He even swapped out the batteries and still it wouldn't work. I offered to get ours which both Gavin and Vicki thought was a good idea. Of course I hadn't thought it out before my offer as it was located all the way down on the first floor. I actually had very little difficulty negotiating the eight flights of stairs down to the main floor; it was the long climb back up that took it out of me. When I finally got back to the attic, somewhat winded and out of breath, I found Vicki and Gavin still trying to get their Spirit Box to work. Right when I walked up to them, wouldn't you know it, Gavin's SB7 kicked in making my extraordinary effort an exercise in futility. As we were wrapping up the evening, the Iowa group told us they had some success in the basement, actually getting their K2 meters to turn red in response to questions. We told them that based on some of our pictures, we thought the ball that also sits in the middle of the basement hallway appeared to have been moved. As they had their cameras set up in that area we are hoping they will be able to determine whether or not this was explainable. Other than the periodic sound of footsteps and my exhilarating run in with a bat in one of the subterranean basement rooms, we didn't have any other personal experiences to report. Around 6am we all decided to pack it in and call it a night. Just when we were all preparing to leave, everyone heard what sounded like the running of little feet coming from the floor above us. Perhaps the children felt it was now safe to come out since the strangers were finally leaving? It was an experience and opportunity that I'm glad to have had. Another location where I can say we beat Ghost Hunters, and Ghost Adventures into the building! It is reported by the owner that they both are scheduled to do filming in the next few months. I look forward to seeing what evidence they can collect. 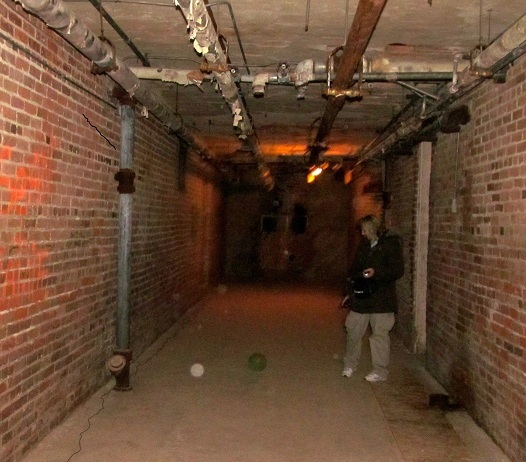 This photo taken in the basement we call "Ball and Orb" Which is which? This shot seemed to capture a strange white mist. Doesn't appear to be as round as our usual orbs. This one was caught in the basement. 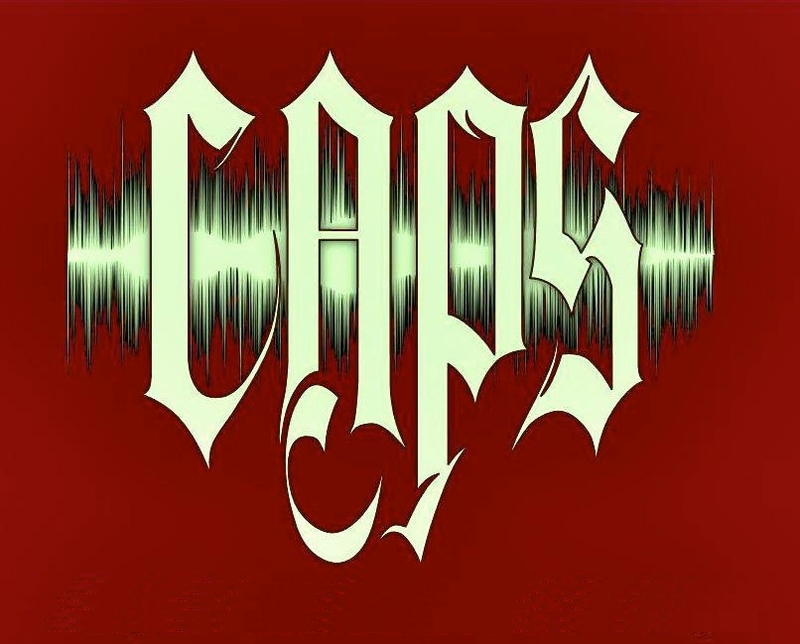 One of our favorites, either "Help Us" or "Helpless"
It wouldn't be a CAPS investigation if we didn't catch a "Get Out"
This one is from the attic near the staircase, "Dish?" Child-like voice... "Damon?" or could it be "David?" This one starts with a strange low voice we can't figure out, but then it is followed by a whisper, "No Problem". This one seemed pretty clear to us, "Hi" and "Hang-on"